Welcome back to my A Few Favourite Things series. 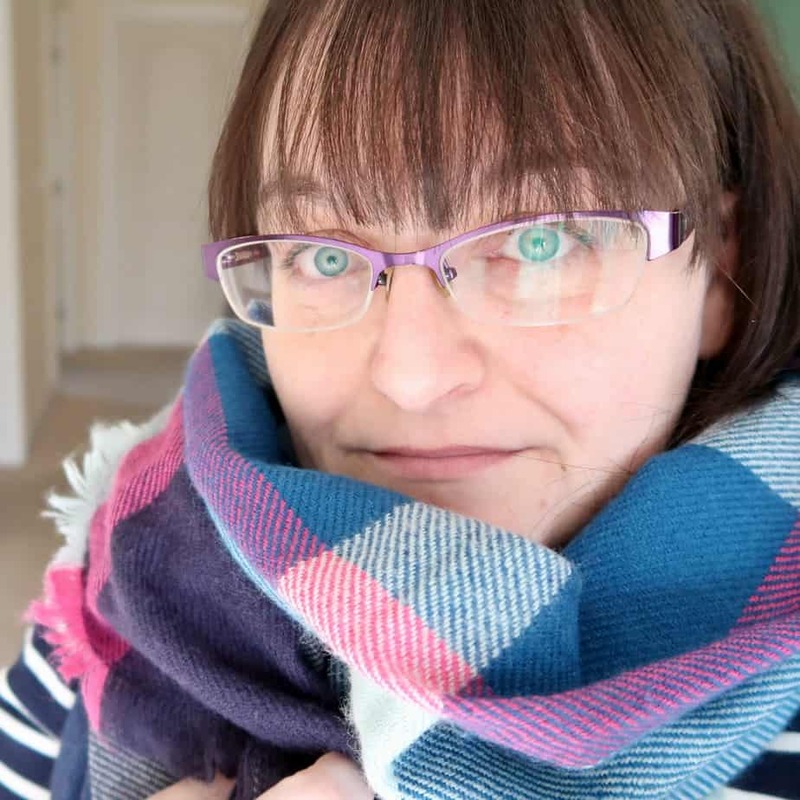 This week I have Debbie from My Random Musings showcasing her favourite things. Pop over to her blog or check out her social media accounts for some motivational post and her random musings. Hi, I’m Debbie. I blog over at My Random Musings where you’ll find posts about getting motivated to succeed plus writing and blogging tips, book related posts and more. I left my day job in October 2016 to become a full-time author and freelance writer. It was both the scariest and the best thing I’ve ever done. I live in the North East of England. I’m kind of torn here. I love being I the kitchen – it’s definitely the heart of a home and I love just sitting at the kitchen table sipping on a cup of coffee and getting lost in a world of my own. But with all of that said, I think my favourite room is my bedroom, simply because it doubles up as my work space and I’m always happiest when I’m writing. I tend to throw on some music (a nice bit of rock or metal) and lose hours writing – either working on a client’s project or my own book or blog. I have kind of a gothic taste which you can probably see from the photo of my bedroom. I love blacks and dark woods for furniture and I like reds and purples. Would it be wrong to say my laptop lol? I’m really struggling with this one – I’m not materialistic at all. I believe that stuff is just that; stuff – memories are made in your heart and in your mind. If I had to choose something, it would be the first print copy of my first novel. It was such a strange and wonderful feeling to hold that in my hand and know that I created it. Well, most of my clothes are black, but that’s technically not a colour so I’d have to go with red. I love that it’s vibrant and can add a colour pop to a darker room while still blending in well. After all the talk of dark colours, it might be a surprise that my favourite season is summer. I love getting out and about in the sun. There’s just something about the warmer weather that makes me happy. The fresh air, nature at its finest and being able to spend hours outside. I don’t change my décor to match the seasons. I wish I had enough spare time to change my décor four times a year – I would definitely be able to put that time to some good use. I love living in the North East. I know it has this reputation for being rough and that people up here do nothing but drink, screw around and swear (thanks for that Geordie Shore) but it’s really not like that at all. The people here are so friendly – everyone talks to everyone and no one thinks it’s weird to have a full on conversation with someone you’ve just met. It’s strange because I live pretty close to the sea – it’s probably about ten minutes away – and although generally, the first thing I do on holiday is go to the beach, I can’t remember the last time I went to the beach at home. Maybe I’ll have to start visiting a bit more often – if nothing else, there are some beautiful photo opportunities. Bedrooms always lack one thing and that one thing is storage. Between bedding, clothing, books, make-up, lotions and potions you hardly have enough space to sleep in. On a positive note, there are quite a few things that you can do to create more space in your tiny bedroom. Using dark colours and dark woods in a bedroom that is already space challenged will make the problem worse. Dark and bright colours constrict a space which is something you want to avoid when space is limited so instead use light colors in the room as it aids in achieving the feeling of having a bigger area. The walls above doors and windows are often not used. You can easily create more space by building bookshelves or small cupboards on those parts of your walls. This would give you a space to put your books, bedding and more. The rest of the wall space can also be used in this way and if you are imaginative chances are that you will come up with a stunning way of covering your walls with storage for a variety of uses. A bed that has a built in drawer is a great solution for bedding or even clothes. You could keep a variety of knick-knacks there too. Sleeper couches are a great way of utilizing spaces differently during the day. In the daytime, you can use the bedroom as a gaming room or study while sleeping in it at night. Another way of creating space for day use is to get a bed that folds into the wall when it is not in use. You could also use the same amount of floor space for a study area and bed by placing the bed over the desk. You get great ready built beds where the creator incorporated this space saving idea. Another option is the bed on top and cupboard below which is also one that you can find ready built. Bunk beds help to save a lot of space too. We spend most of our time in our bedrooms and we store most of our clutter in there too but a bit of creativity can bring answers to an array of difficult spacing questions. Play around and see what works for you. Welcome back to my A Few Favourite Things series. This week I am honoured to have Becky from A Beautiful Space showcasing her favourite things. Becky is one of the friendliest people I have ever met, she would certainly give you her last Rolo. Please do pop over to her blog for inspiration on home design, travel ideas and organisation. Hi, I am Becky Goddard-Hill. I have 2 awesome kids Frankie and Annalise and I am a full-time blogger. I blog about pretty much everything and I have 9 blogs in all. My favourite is A Beautiful Space – a lifestyle blog covering interiors, fashion, food, and travel. I have been blogging for 10 years! Pre-kids I worked as a psychotherapist and social services training officer. I have recently requalified as a life coach. I love a bit of a studying! I am also the queen of typos. I love art too and I am thinking of an art blog actually. Is 10 excessive? I love my kitchen. It is the hub of the home and a hive of creativity from crafting to cooking reading to writing and it is where most of us spend most of our time. I like the clean lines and simplicity of contemporary furniture and I am a big fan of minimalism. Our home is far too small and we are far too lively and colourful to pull off minimalism though so I just dream on. I own an original Quentin Blake that he made and sold on behalf of comic relief. All proceeds went to good causes and she makes me smile every day. A gift from me to my children. I love turquoise and mint and soft pastel blue but white wins the day. White is fresh clean and a blank page the perfect backdrop for art. I accessorise in winter with rugs and throws, candles and felt cushions but brr not a fan of the cold. In summer I am outside as much as I can possibly be. My garden is my haven. I live in a leafy and safe suburb 10 mins from a vibrant city. I am very lucky. I do hanker after a cottage by the coast one day. Storage spaces are a lifesaver for those whose responsibility it is to keep everything neat and tidy. With enough storage, they have no need to try and guess where to squeeze stuff into as they pack them away. The problem is that most of us do not want our homes looking like it was built out of cupboards so what can we do? There are quite a few options that allow us to have the storage without it being obvious. Things that do not look like storage at all. Find a few examples of these secret storage ideas below. A built-in bath usually has a whole lot of space that is wasted below it. Yes, that is where the drainage pipes go but even with those in there, we are still left with quite a lot of space. Instead of cementing it up, rather use wood and wire shelving to create tilt-out shelves. You can keep an array of stuff down there. Stuff that we use in the bathroom. That isn’t the only benefit either. This way you will have easier access to your pipes if they start to leak. In a home with stairs, you have the opportunity to create a bunch of extra storage. The more stairs the more drawers you can build into them. This is a great solution for those shoes and coats that clutter the entrance in a home where there is no cupboard at hand. Toys lying around? Don’t even bother picking it up. Open a drawer and push them in with a foot. The areas that are left unused between the bottom of a kitchen cabinet and the floor can be better utilized as storage for things like pans and trays that are flat enough to fit. Even dishtowels can find a home there. A clever trick for more valuable items is to modify a safe to look like an electrical outlet. Now you can safely hide away smaller valuables like jewelry, cash, and tiny keepsakes. There are many original ideas out there that will help you store your things well out of sight but beware, there is a reason that the saying ‘out of sight, out of mind’ exists. You would not want to forget where your hidden spaces are in case you may need what it contains or in the event that you move house. Welcome back to my A Few Favourite Things series. This week I have Jane from Northern Mum showcasing her favourite things. Read her blog posts for a refreshing take on what life is like as a parent. For money saving tips check out her sister site From Spending to Saving. My bedroom/office – It is new! We relocated last year from Berkshire to Yorkshire and downsized heavily on our home. This meant we had a three bedroom as opposed to our previous four bed. So the twins have been sharing a room again, which hasn’t made any one happy. With secondary school approaching and my boy/girl twins getting older it meant action was needed. So my children have evicted me from upstairs and I have converted our conservatory into my bedroom/office. I was dubious at first – but I flipping love it. I get to work in front of my garden and have the best view to wake to. I have gone for a white minimalist theme, just my desk, bed and books and I rarely venture out – except to the kitchen for that all important cup of tea! It has a really calm sense to it, I even think I am getting more work done! Outside of my bedroom, our theme is the more traditional cottage with a touch of chaos. Four people squeezed in means we fill every corner and every crevice has a purpose. However, it feels rustic and familiar, which I love. My kindle! Sad but true, when we moved I had to say goodbye to my vast collection of books – now I have them all on a tiny Kindle. Happiness does come in small packages. Blue, it is calming, and I just redid my garden decking in that colour and it is the first thing I see every day. I love summer, and we spend it outside, so the focus is the garden. We grow veggies and eat outside whenever the weather lets us! This year we re did the garden completely and it is lovely!!! I live near a street full of wine bars in a small village – it is perfect. Lots of friends are close by, easy to walk to town for a glass of wine with the ladies, and some amazing boutique shops! I wouldn’t live anywhere else. We are surrounded by countryside but close to a vibrant little centre – best of both worlds. Thanks to websites like Craigslist you can find affordable, pre-owned watches easy. A lot of reputable jewelry stores like Leo Hamel Fine Jewelry & Engagement Ring Store also have a lot of pre-owned timepieces in their inventory. They also tend to have a better choice and offer a lifetime maintenance even for a pre-owned piece. Depending on the condition of the watch, pre-owned pieces usually come at a significantly more affordable price than a brand new timepiece. Vintage and rare pieces are an exception to this rule, as the fact that they are more desirable adds to their price. But if you’re looking for a relatively new watch with an unchanged price, a pre-owned watch is definitely a more affordable option. Any new watch significantly loses a significant portion of its price as soon as you walk out of the store with it. Therefore, you can even find pre-owned watches in a mint condition. Luxury watches are made to last. Good watches can last several lifetimes. That means that most pre-owned watches look brand new and do not go out of style. They are often designed with a classic style in mind meant to last ages. That is why, if you are looking for an affordable yet durable watch, a pre-owned timepiece is a perfect fit. If you take proper care of a watch it can serve you well for decades and more. Another benefit of buying a pre-owned watch is a wide selection. When buying a pre-owned watch you are not limited to a single, trending collection. You can choose from any collection that fits your style. With a wider array of choices, finding the perfect watch is also easier. Some manufacturers like Rolex did not significantly change their components or design, which means that investing in an older model like a Submariner is sometimes a more logical move. Like we mentioned earlier, as soon as you buy a luxury watch it immediately loses a significant percentage of its price. The same goes for cars and other luxury goods. However, when buying a pre-owned watch you don’t have to worry about the price drop, as it has already happened when its previous owner bought it. If the retail price of the watch hasn’t increased drastically, this means that you can buy the watch for less than its original price. Similarly, if you buy pre-owned you can dodge the store markup. A pre-owned watch is a timeless accessory, not a trendy trinket. Most luxurious watches like a Rolex Day-Date have not changed much when it comes to appearance. The same goes for many other famous models. After all, if it’s not broken why fix it. It’s no secret that upcycling is in; a way to save money, reduce waste and be creative, it’s a cheap, chic and easy way to breathe new life into old products. Moving away from the throw-away society that up until a few years ago we had found ourselves in. There is now a call for a new take on the traditional mend and make do attitude by finding new uses for old furniture and accessories. Transforming items found around the home, car boot sales, and thrift stores along with items found loitering in family and friends garages. Designed and developed with the consumer in mind, the Harris Upcycle Kit is the first of its kind and includes the essential tools needed to upcycle just about anything; be it a chair, photo frame, chest of drawers or jewellery box. The six piece kit can be used on wood, metal, plastic, and ceramics and includes flat and round brushes for all areas. There is a long handled brush for greater reach and short handled brushes for restricted areas. The coarse and fine grit sanding blocks are flexible and reusable, making them perfect for prepping and distressing any item. In addition to this, there is also a dust sheet and a free ‘How To…’ guide in every kit. To help you with you with your next upcycling project, A Few Favourite Things has a Harris Upcycle Kit (worth £14.99) to giveaway.